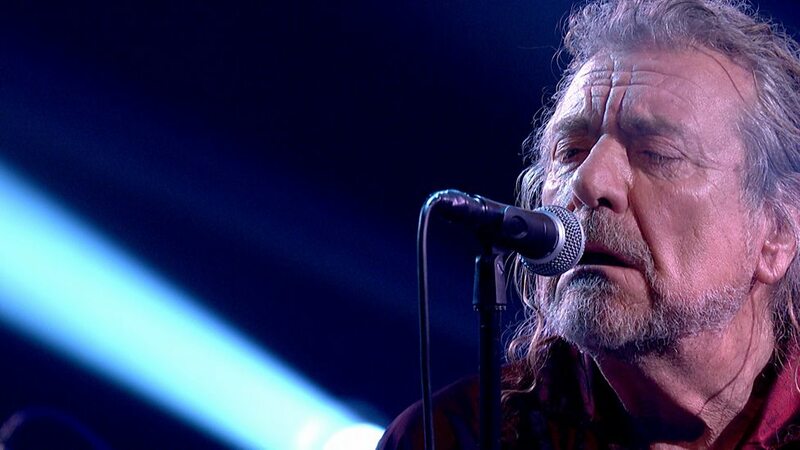 Robert Plant performed a pair of songs from his forthcoming album, “Carry Fire”, on the BBC’s Later With Jools Holland on October 10, and video from the program is streaming online. The rocker delivered “Bones Of Saints” and “New World” ahead of the project’s October 13 release. Plant recorded the set with his touring band the Sensational Space Shifters; the record also features appearances by Albanian cellist Redi Hasa, renowned viola and fiddle player Seth Lakeman, and Pretenders singer Chrissie Hynde – who can be heard on a cover of the Ersel Hickey rockabilly classic, "Bluebirds Over the Mountain." The singer’s eleventh solo album marks the follow-up to 2014’s “lullaby and...The Ceaseless Roar”, which debuted and peaked at No. 10 on the US Billboard 200. Plant - who will launch “Carry Fire” with a tour of the UK and Ireland in November - recently announced dates for an early 2018 tour of North America.